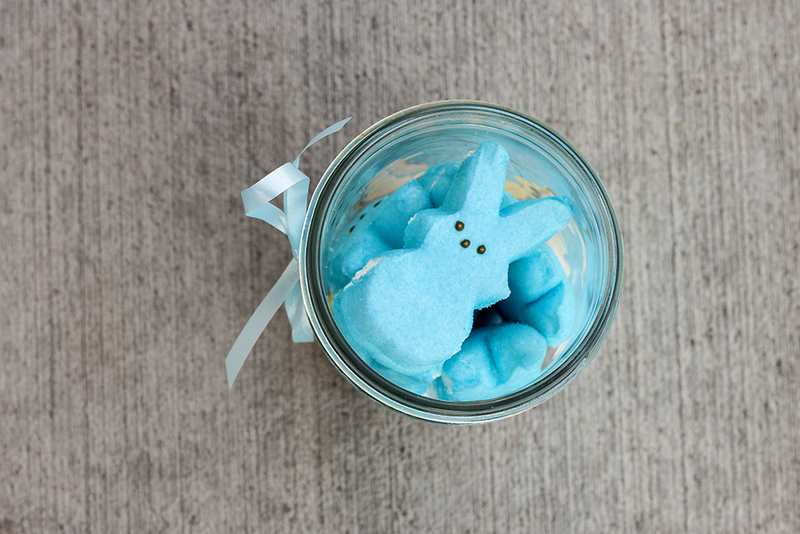 DIY Easter Gifts with Mason Jars and Peeps! I’m not sure anybody actually likes the taste of Peeps, but how can you possibly resist something so lovable, squishable, and just plain adorable. 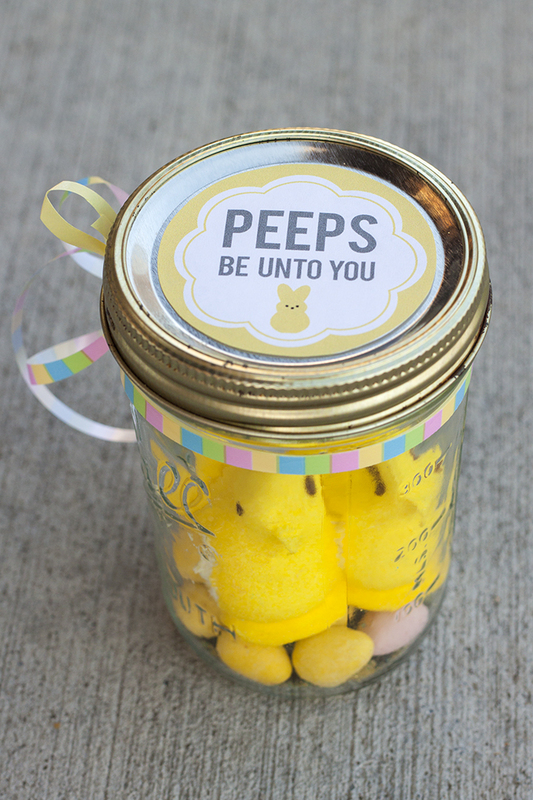 Plus, they’re called Peeps for heaven’s sake. 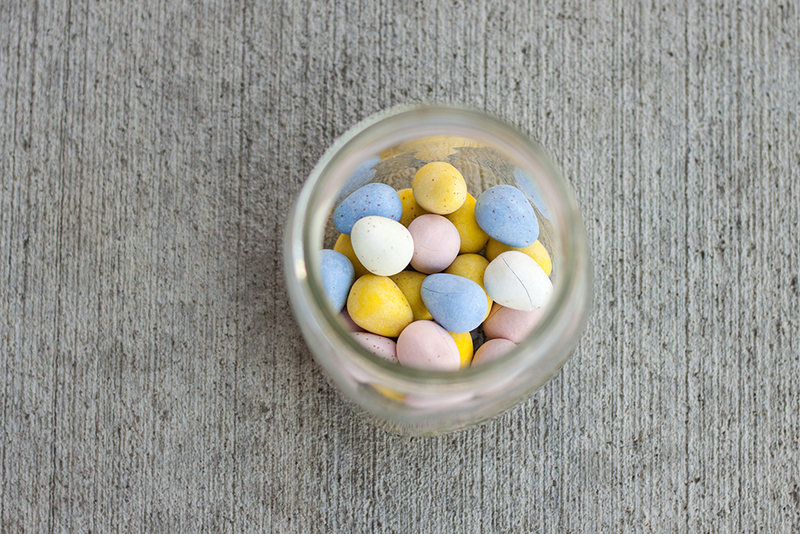 This brings us to these slightly ridiculous, yet totally heart-melting Easter gifts, that are practically saying, “Try not to smile. 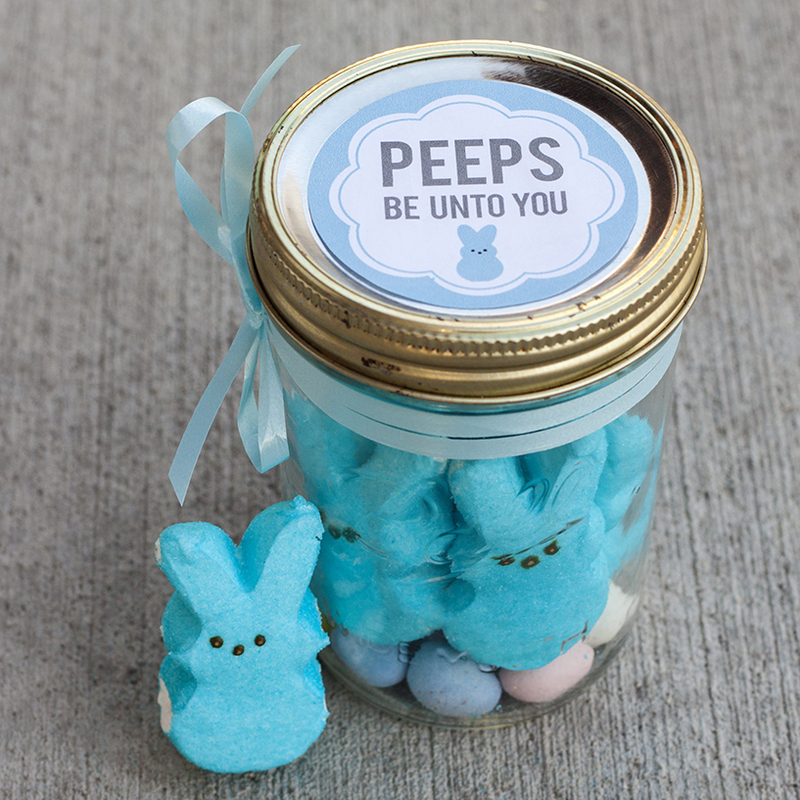 Just try.” Perfect for party favors, co-worker/neighbor gifts, or even Easter table place setters, these jars are bound to be a success with anyone. 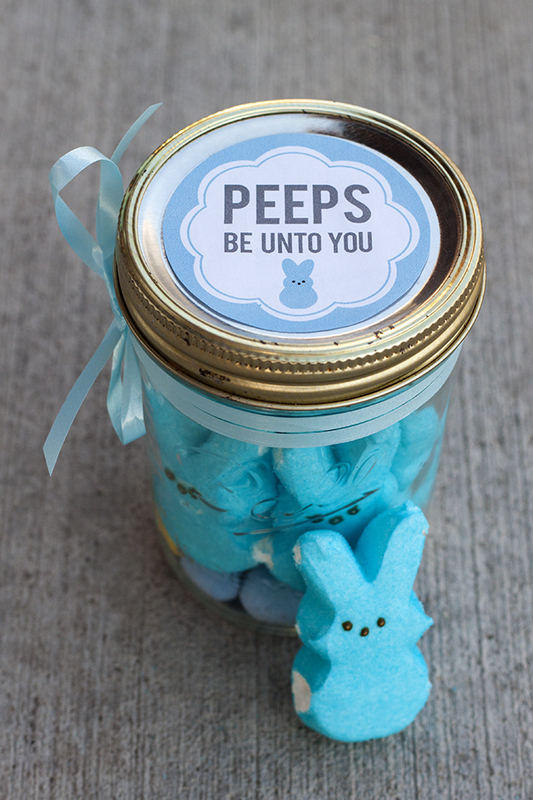 To make these jars of Peeps, you’ll only need a few things. 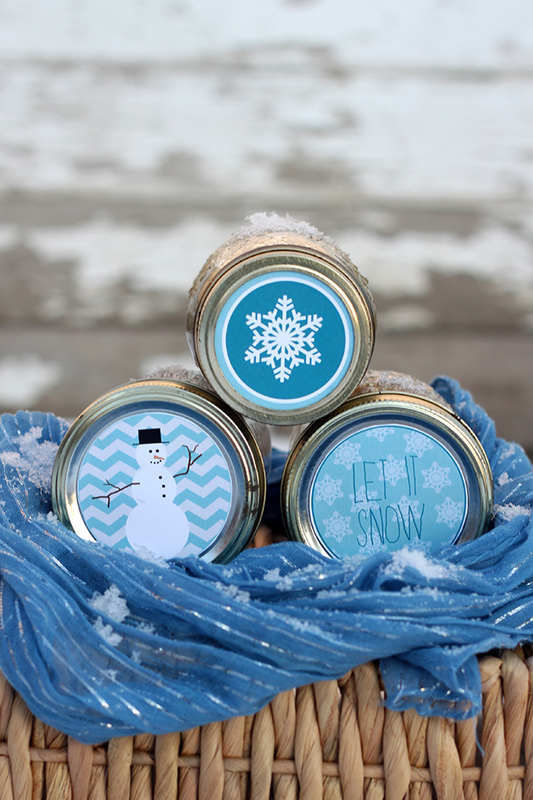 First off, download these labels from Lucky You Printables on Etsy. 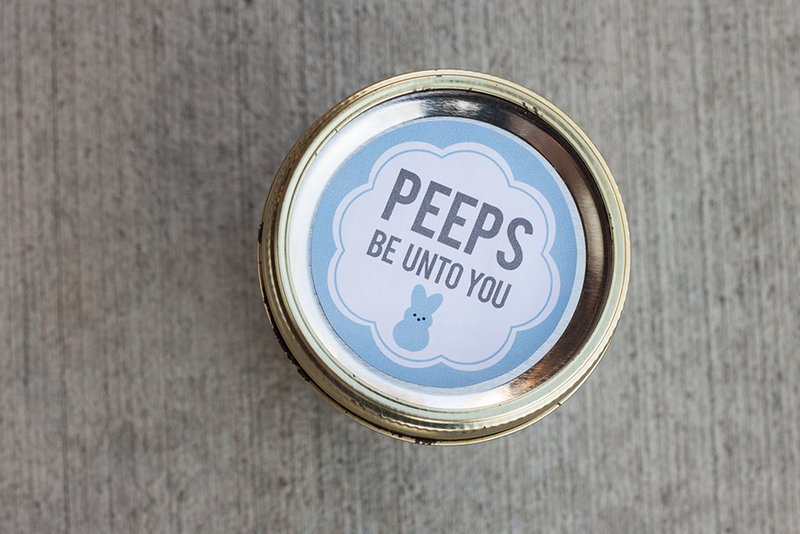 (UPDATE: Sadly, these specific Peeps labels are no longer available, but there are a few other cute Easter ones Here and Here.) 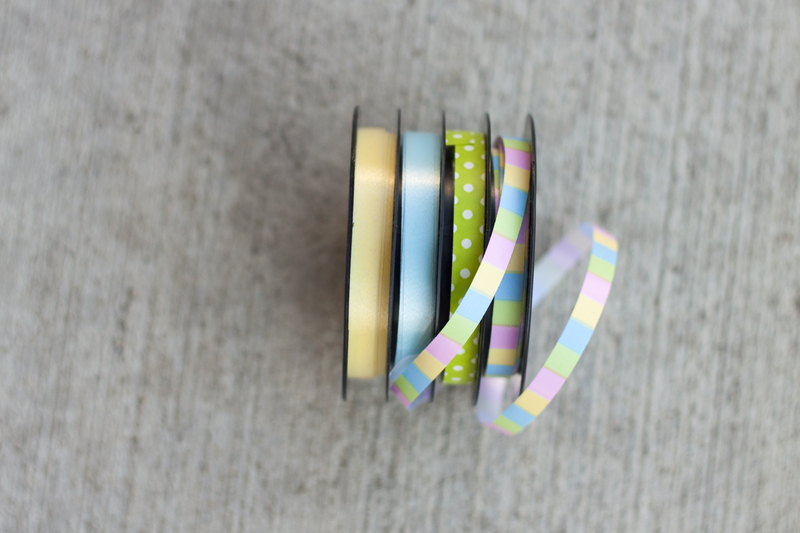 They’re only $1.98 and are pre-formatted to fit round Avery 22830 sticky labels. If you want to go the cheaper route, you can also print them on sheets of label paper, or even cardstock and cut them out with a circle cutter, a 2.5 inch hole punch, or a pair of scissors with a steady hand. 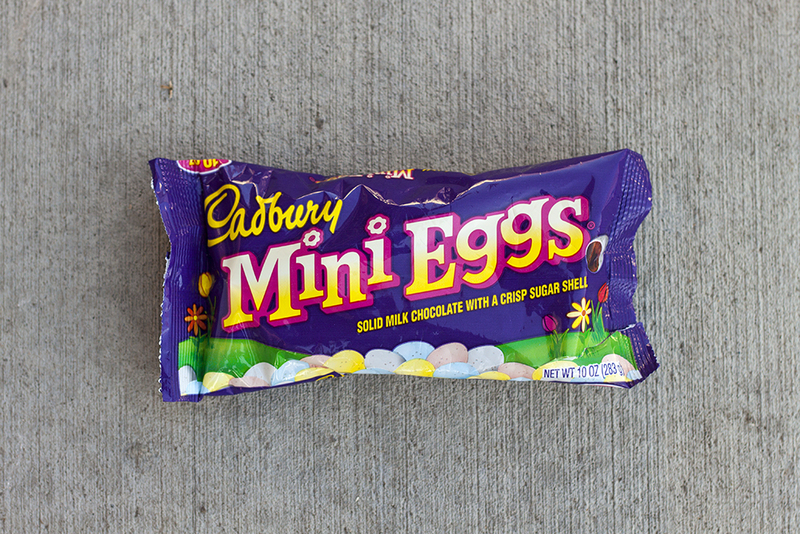 Start off with a bag of Cadbury eggs, A.K.A crack. 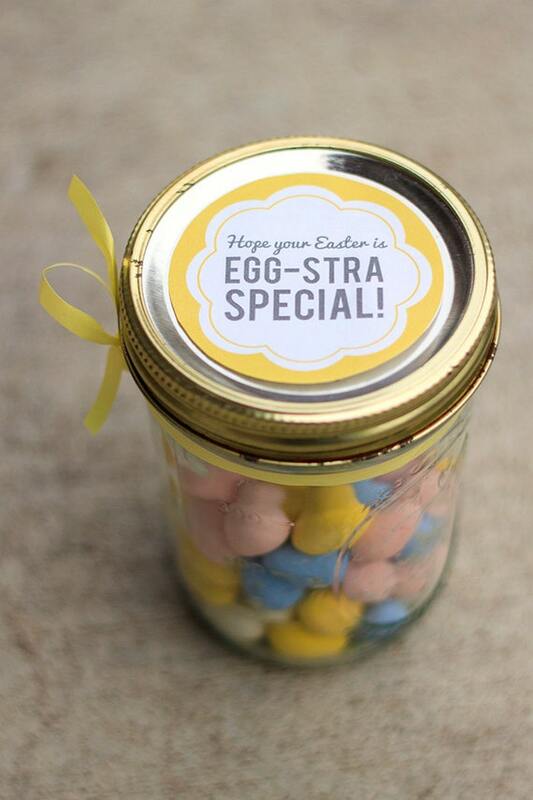 And tie an Easter colored ribbon around the jar. Voila! 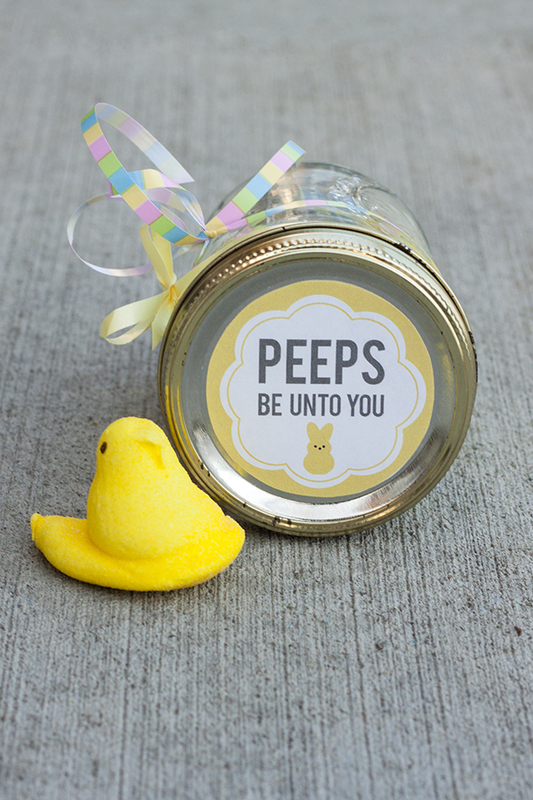 Peeps be unto you! Try the yellow ones too! Just can’t get enough of these! 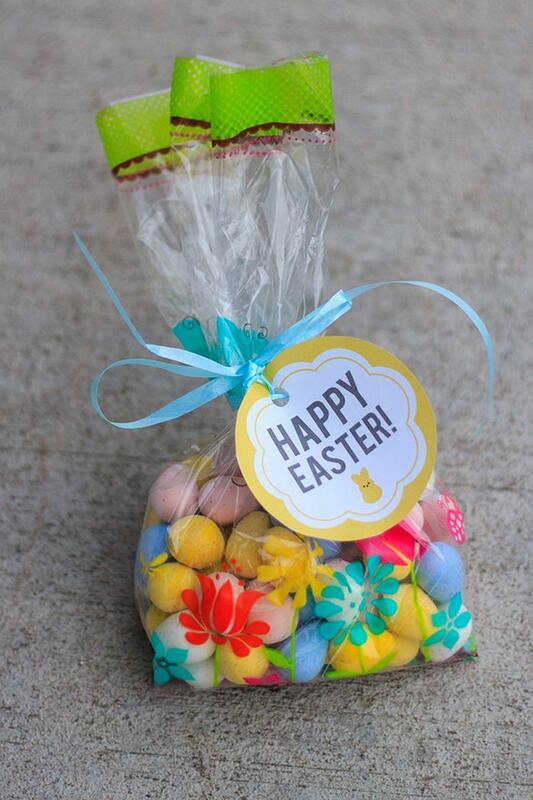 If you don’t want to deal with mason jars, these labels work just as well on little treat bags. This one’s a fun label too. Also available at Lucky You Printing. 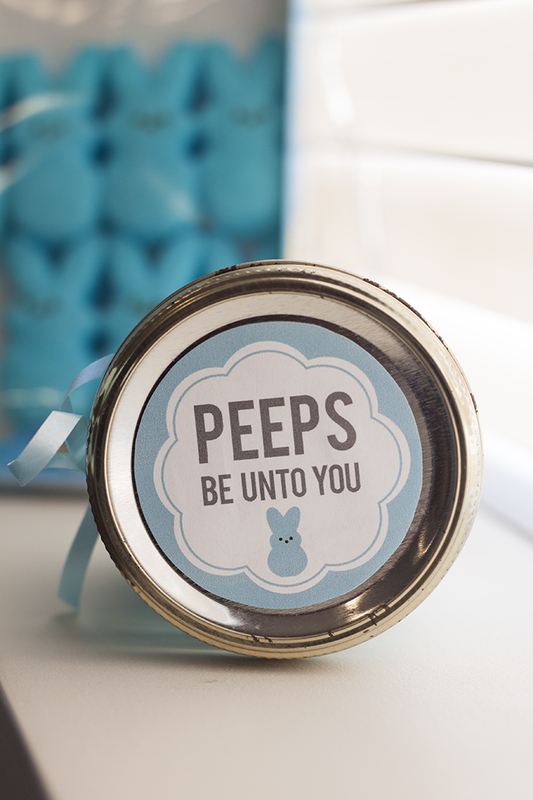 And now, for the best part…time to put those leftover Peeps in the microwave and watch those babies grow! I’m telling you, if you’ve never microwaved a Peep, well, you’ve haven’t lived.